Sick of sore muscles? 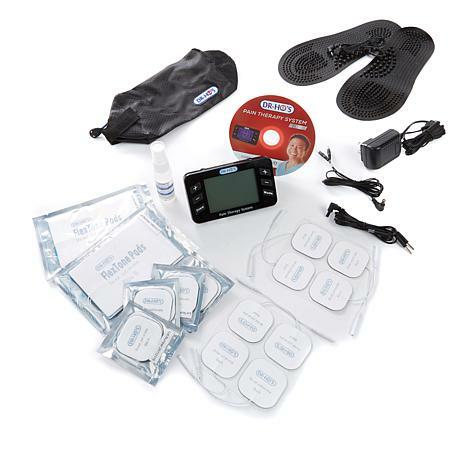 Get temporary relief with Dr. Ho's Pain Therapy System Pro. It's great for temporary relief of sore muscles from work, exercise or household activities. It's super-comfortable to use and feels like a soothing massage. 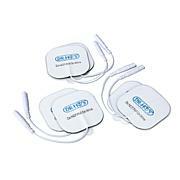 The included foot therapy accessory pads offer relief for aching feet too. Seven stimulation modes make it easy to find the perfect setting for your needs and two sets of wires let you share the soothing sensation with someone you love. Sounds like a real win-win to us! Dr. Ho's Pain Therapy System Pro is not designed to diagnose, treat or cure any medical condition or disease. If you suffer with any pain or health condition, you should consult with your doctor for proper diagnosis and treatment. 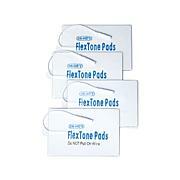 TENS is not a substitute for pain medications and other pain management therapies. Do not use Dr. Ho's Pain Therapy System Pro or any other electronic stimulators if you wear a heart pace maker or if you are pregnant due to safety issues. Any questions or concerns, please ask your doctor before use. Do not use this device if you have a cardiac pacemaker, implanted defibrillator or other implanted metallic or electronic device. Such use could cause electrical shock, burns, electrical interference or death. Do not use this device together with a life-supporting medical electronic device such as an artificial heart or lung. Do not use this device together with a body-worn medical electronic device such as an EGG. Do not use stimulation over the main arteries around your neck. Do not use stimulation over your mouth or the front and sides of your neck. Severe spasm of muscles may occur and the contractions may be strong enough to close the airway or cause difficulty in breathing. Do not apply stimulation directly to the heart area, across the chest or on the chest. Do not use stimulation on your head or across your head. Do not use stimulation over swollen, infected, or inflamed areas or skin eruptions; for example: phlebitis, thrombophlebitis, varicose veins. Do not use stimulation over, or in proximity to, cancerous lesions. Do not use stimulation when charging the device. Do not use the device while driving, operating machinery or during any activity in which involuntary muscle contractions may put the user at undue risk of injury. Do not use the device in a bathroom or a moist environment. Do not use as shoe innersoles or with body pads. For best results, use on bare feet and place on hard surfaces, not on carpet. Product is not intended to treat, cure, or prevent and medical disease or condition. I'm very happy with my Dr. Ho and bought two for gifts besides my own. On mine though the little lever broke and is now useless to me. The item worked great with maximum relief. It does everything you want and you can get the best of all you can ask for when using this stress or pain relief pain therapeutic for therapy unit. I just Definitely recommend it. Excellent machine. Very clear instructions with great photos to follow. Used it for the first time yesterday and was mighty surprised at the power it puts out. I have arthritis, fybromialgia and muscle spasms. Dr. Ho's systems helped me to relax and really did help relieve my pain. The foot massage and the storage bag are a plus. All in all I am very happy with my purchase and would highly recommend this to anybody looking for pain relief. Thanks Dr. Ho and HSN. Dr. Hos Pain Therapy Unit performs Better than the professional (Tens unit) prescribed my doctor!! Advanced technology, easy to use, easy to read screen, auto shut-off! Plus extra pads and CD!!! Wow! Awesome product!!! Will tell all my friends, thanks HSN!